If your love for food is real, you may anyway spend the coming Valentine’s with a Big Mac in your hand. 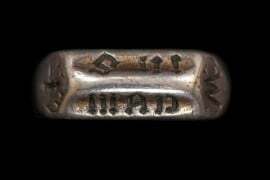 However, if you’re lucky enough, your sandwich for the day might come encrusted with diamonds, orange sapphires and solid gold buns, all for a nil cost! Yep, you heard that right! 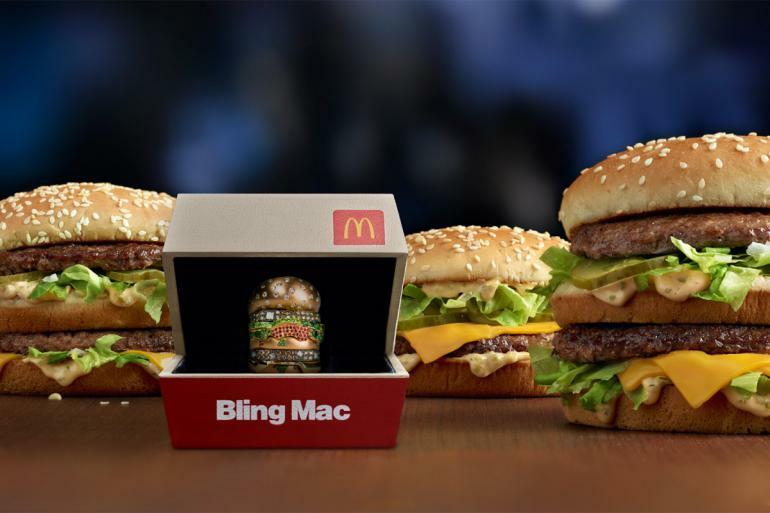 McDonald’s has decided to be your generous lover for the upcoming days of mush with a contest called the ‘Bling Mac’. 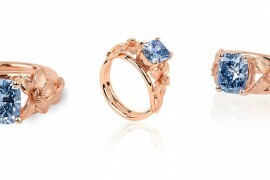 As part of the deal, one lucky winner can get their hands on a stackable ring created by jeweler Nadine Ghosn. 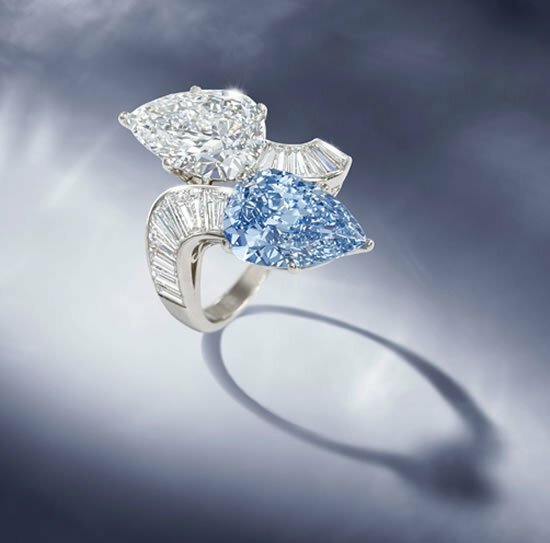 Inspired by the Big Mac, every layer of the said ring is adorned with sparkles of sorts, with diamonds being used in place of the sesame seeds, Champagne brown diamonds making the patties, and spectacular orange sapphires representing the Special Sauce. The contest is being run by McD to celebrate the three Big Mac sizes (Grand Big Mac, the Big Mac, and the Mac Jr.), and entries for it have started to pour from world over already! 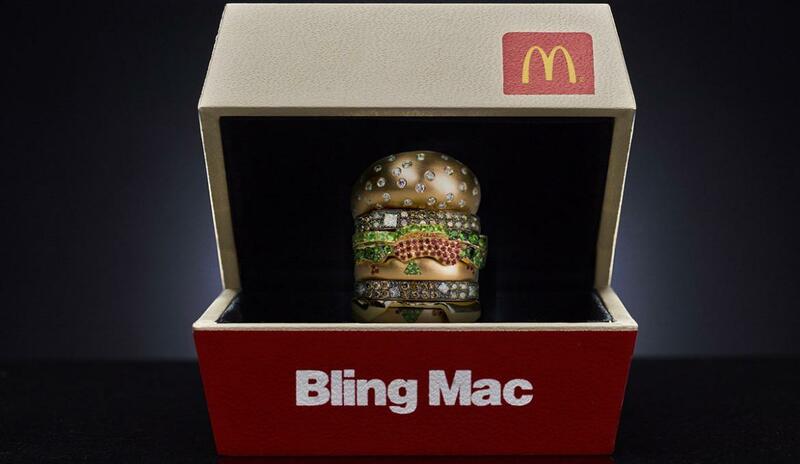 To win the $12,000 Bling Mac, you will need to tweet your love for the sandwich and tag McDonald’s with #BlingMacContest. 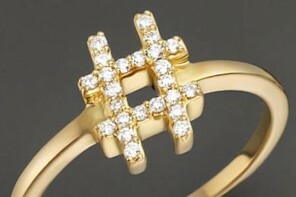 The ultimate winner will be shortlisted based on the quirk in their post (creativity – 40%; love and affinity for the sandwich – 30%; and humor (how witty and comedic is the Entry) – 30%). 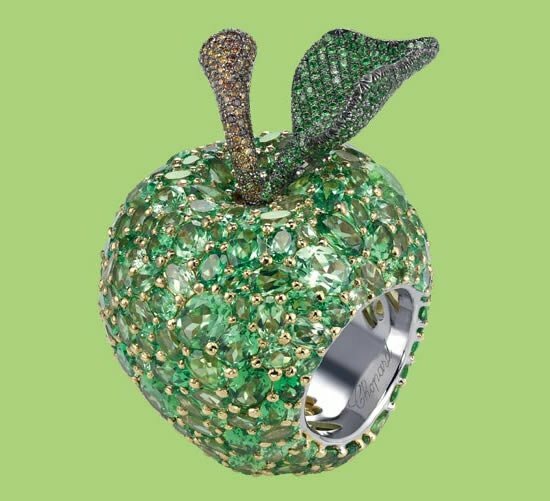 Entries for the contest are open till the 14th of the month, but we suggest you try your luck with the Bling Mac ASAP! 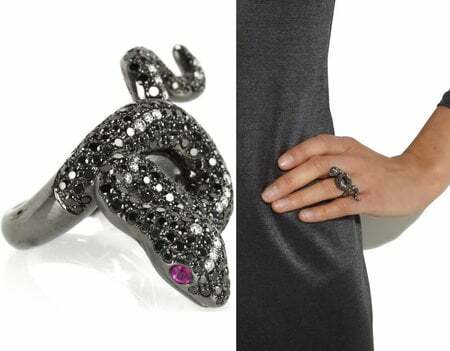 A stunning snake charm ring for your lady love! 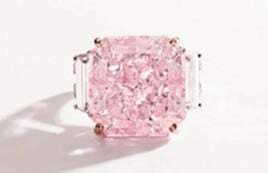 Previous articleDebbie Wingham’s Million Dollar cake might be the most expensive – and beautiful – wedding cake in the world!